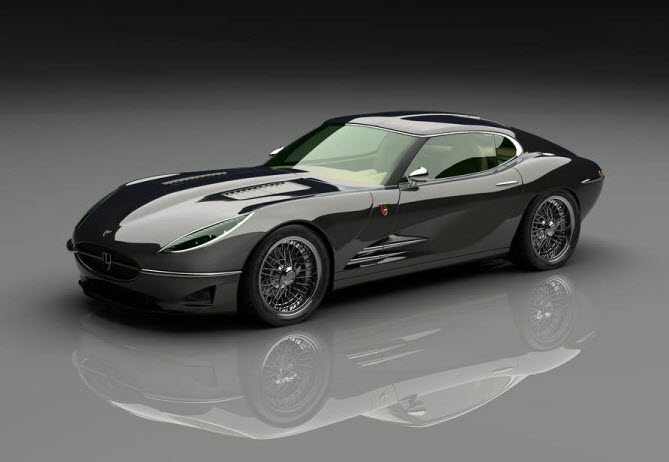 The new Lyonheart by Classic Factory is fashioned after the classic Jaguar E-Type. The Lyonheart K was dreamed up by Bo Zolland with inspiration taken from the Growler E, but the plans were scrapped. Lyonhear CEO Robert Palm tweaked Zolland’s designs to give the K a more aggressive look. The limited edition Lyonheart K will be built using carbon fiber, stainless steel and brushed aluminum with chrome and wood accents. The interior is trimmed with leather and wood veneer. The K will be powered by a ample 544-horsepower supercharged 5.0-liter V8. The K weighs in around 3,500, so it’ll be good for 60 in less than 4 seconds. The K will be available in a run of 50 cars, with delivery in about 18 months.